Thank you for submitting your item for appraisal. 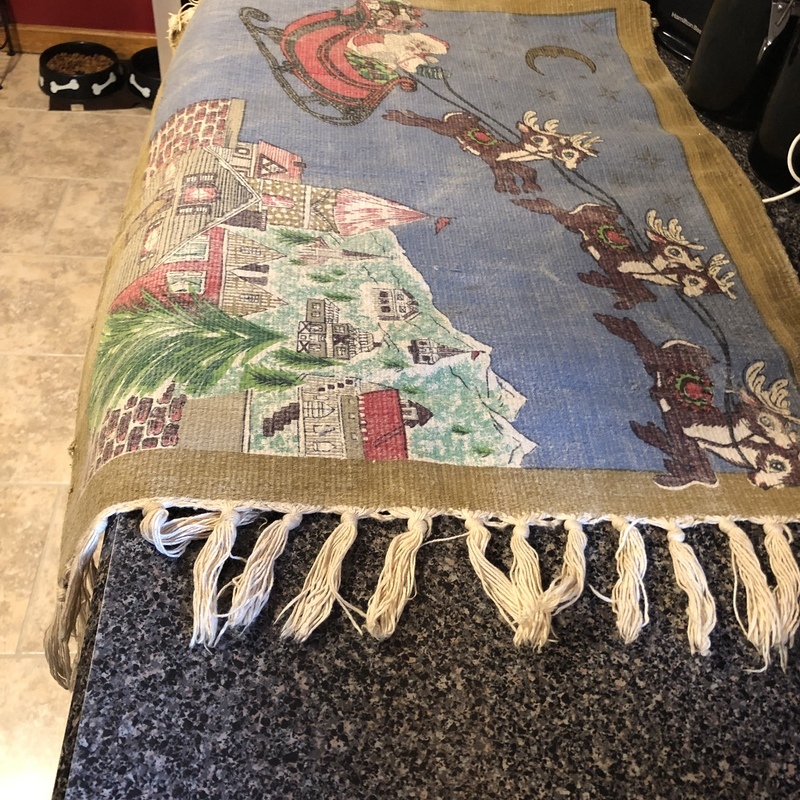 This appears to be a late 20th century wall hanging, designed by Hayim company and produced in India, showing Santa´s Sleigh in a Disney inspired manner flying over a small town. It is basically a serigraph on cotton fabric designed according to US customer taste. The market for christmas decoration is immense and so is the supply. Christmas decoration is usually loaded with sentimental values, memories of childhood etc. Therefore the sentimental value is often much higher than the actual market value. The estimate is based on similar items offered or sold at auction. Someone, who missed out in 1995 when this wall hanging was on the market and desperately wants it, might be willing to pay more than the high estimate.